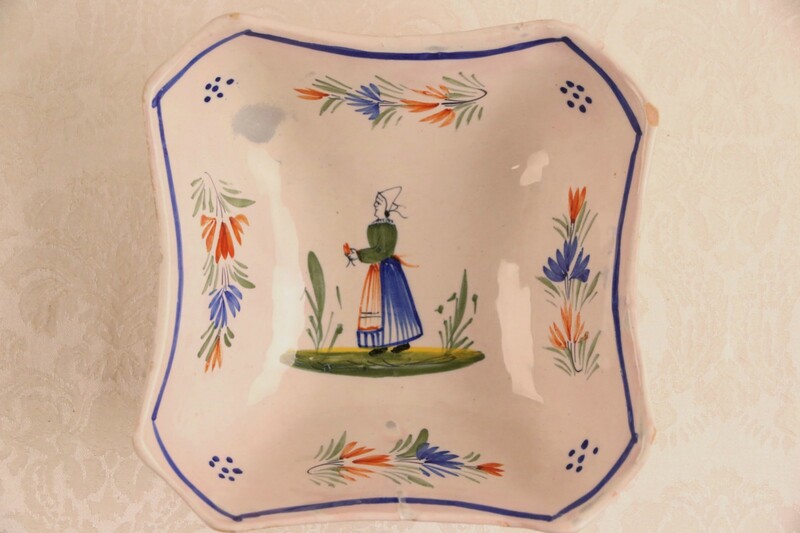 Signed "Henriot Quimper," this square serving bowl was hand painted in the Tradition pattern. There are rim chips plus some bluish stains that appear to be under the glaze on this pottery from Brittany in France, see photos. Size is 8" square and 3 1/4" tall.